Iran's foreign minister has said the United States will not be able to prevent the country from exporting oil. Mohammad Javad Zarif told the Iran newspaper that President Donald Trump's goal of forcing the rest of the world not to buy Iranian oil was impossible. He also mocked what he called Mr Trump's "tantrums and CAPPED TWEETS". 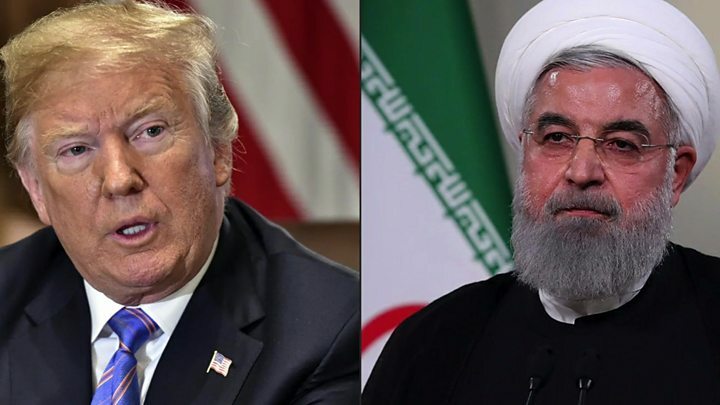 He is seeking to compel Iran to agree to a new nuclear accord, but the UK, France, Germany, Russia and China have pledged to abide by the deal they negotiated along with the US in 2015, and continue trading with Iran. 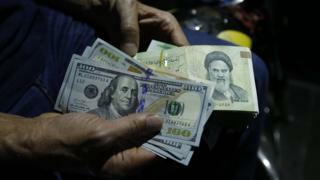 On Tuesday, the US reinstated sanctions targeting the Iranian government's purchase of US dollars, Iran's trade in gold and other precious metals, and its automotive sector. In November, a second batch of potentially more damaging sanctions will be reinstated on Iran's port operators, and the energy, shipping, and shipbuilding sectors. Petroleum-related transactions and transactions by foreign financial institutions with the Central Bank of Iran will also be affected. In a tweet, Mr Trump warned: "Anyone doing business with Iran will NOT be doing business with the United States. I am asking for WORLD PEACE, nothing less!" Later, Mr Zarif responded on Twitter by writing: "Tantrums & CAPPED TWEETS won't change the fact that the world is sick & tired of US unilateralism." "Stopping US trade and killing 100K US jobs is fine with us, but the world won't follow impulsive tweeted diktats. Just ask EU, Russia, China & dozens of our other trading partners." In an interview with the Iran newspaper published on Wednesday, Mr Zarif said the Trump administration's stated aim of cutting Iranian oil exports to zero was "meaningless" and "impossible". "The countries currently the US is negotiating with have told Washington that they will continue their oil purchases from Iran," he explained. Mr Zarif said European powers - who say the nuclear deal is working - were asking other countries to continue buying Iranian oil or even start doing so when the next batch of US sanctions take effect. They had also proposed setting up accounts for the Central Bank of Iran in their national banks, he added. "As a result of these measures, the US has been isolated." The European Union has also unveiled a "blocking statute" intended to mitigate the impact of the US sanctions on European firms doing legitimate business with Iran. However, a senior US official said it was "not particularly concerned" by the move because many major firms had already announced they were pulling out of Iran.